Gary Brower/The Holland Sentinel From left, Jim Rynsburger, Ron Essink and Tom Kragt will be inducted into the Zeeland Historical Society Sports Hall of Fame June 11. The members of the third class of inductees into the Zeeland Historical Society Sports Hall of Fame have something in common the two previous classes lacked. All three of this year’s honorees performed together in the same building at the same time. Rynsburger was leading the Chix program at the time. All three made names for themselves in the former high school, which is now Cityside Middle School, on Main Avenue. Kragt, a three-year varsity basketball player, graduated from Zeeland in 1975 as the school’s all-time leading scorer, while Essink was a Class B state wrestling champion in 1976 for the Chix. Rynsburger, who was Zeeland’s first state champion as a wrestler in 1963 and 1965, was the Class B coach of the year in 1977 after Zeeland came within a whisker of claiming the state championship. The Hall of Fame Class of 2010 will be honored at an induction ceremony and dinner at 6:30 p.m. June 11 at the Howard Miller Community Center in Zeeland. Tickets for the June 11 dinner and ceremony are $10 for adults and $5 for children younger than 12. 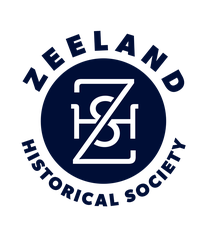 They will join current members Don Cook, Jim Kaat, Whitey Wyngarden, Doug Wabeke, Bernie Raterink and Bob Hoover in the exclusive group of Zeeland Hall of Famers. Kragt, a sharpshooting guard, led the Chix for three years and held the school record for single season and career free-throw shooting percentage. He was named O-K White All-Conference twice before moving on to Aquinas College and then Grand Rapids Junior College. Kragt transferred to Spring Arbor University and led the Cougars for two years, averaging 25 and almost 28 points per season, respectively. He was named NAIA second team All-America as a senior in 1979 and honorable mention All-America as a junior a year earlier. Athletics have had a similar impact on Ron Essink. The 1976 Zeeland High School graduate was a better-than-average tight end for the Chix, but didn’t draw much interest from college coaches until he started to shine on the wrestling mat.UnderRynsburger’s guidance, Essink went undefeated as a heavyweight his senior season, and won the Class B state title in his only year as a wrestler. It was enough to catch the eye of Grand Valley State University wrestling coach Jim Scott, who worked out a deal with football coach Jim Harkema to share Essink while he was on the Allendale campus. An injury thrust Essink into the role as offensive tackle at Grand Valley, and he never lost the starting spot. He went on to become an NAIA and NCAA Division II All-America. He was also an NAIA and NCAA Division II national champion in wrestling while at Grand Valley, and that same year finished seventh at the NCAA Division I national meet. Essink worked his way into a starting role. He enjoyed six successful seasons in the league, playing in 83 games, before retiring in 1985 due to injuries. “It’s a great honor. At Grand Valley, I was inducted with Jim Scott, and to be inducted with Jim Rynsburger, it’s a good deal,” Essink said. Rynsburger was a driving force on the wrestling front in Zeeland for parts of six decades. As a student at Zeeland, he gave the school its first state champion in any sport when he won the Class B wrestling state championship at 95 pounds in 1963. He did it again two years later at the 125-pound division. He and his wife, Jo, returned to Zeeland in the early 1970s, when Rynsburger began teaching and coaching wrestling at his alma mater. He led the Zeeland varsity program for a quarter century, then spent the next 10 years as a tutor to young wrestlers in the middle school program. Rynsburger, 62, retired from coaching in March.